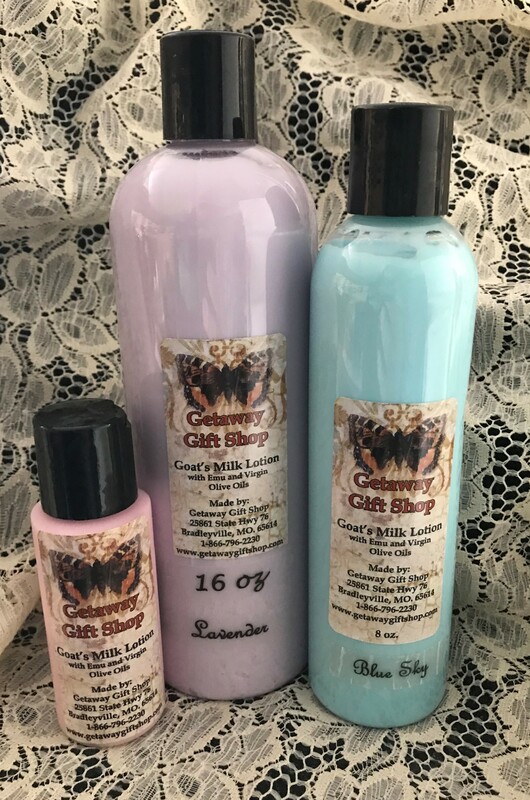 An all natural skin lotion made from Emu Oils, Goat's Milk Creams and Extra Virgin Olive Oils. Specially formulated to help sun damaged,weathered skin, wrinkles, psoriasis, eczema and most moisture deprived skin conditions. Our lotion comes in eleven different scents. There are no unnatural preservatives and our lotion is absorbed immediately into the skin, providing you with all the richness and goodness of the lotion without a greasy feeling. Treat yourself to a little luxury, YOU DESERVE IT!! From $5.29. I have dry skin and this lotion has made a HUGE difference. My skin is so soft now!!! Just bought 4 different scents at a craft fair in Ar. My girls and I really love them. The scents are long lasting and you do notice a softness after the first use. Will be back for more! Love this lotion! use it on my face very morning and evening, still have a few breakouts, but my face is not as dry!